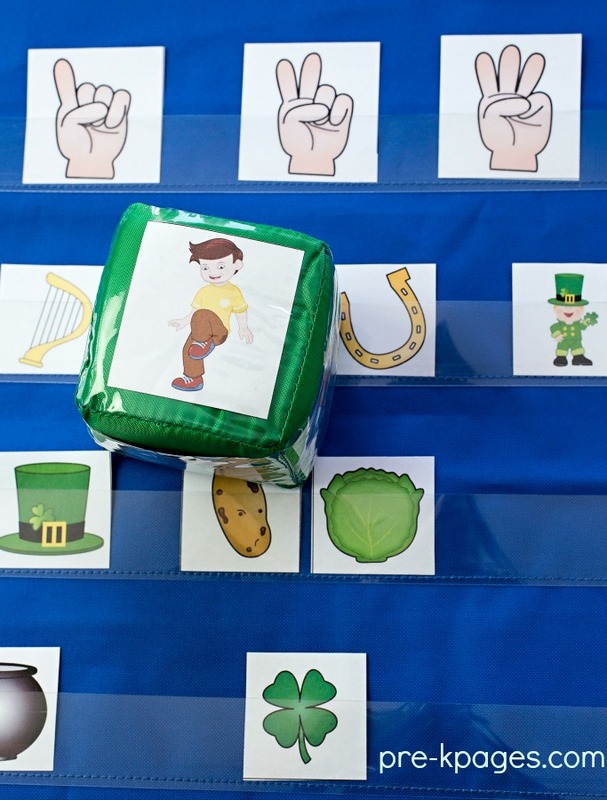 Are your little leprechauns learning how to identify the alphabet, syllables, or beginning sounds? 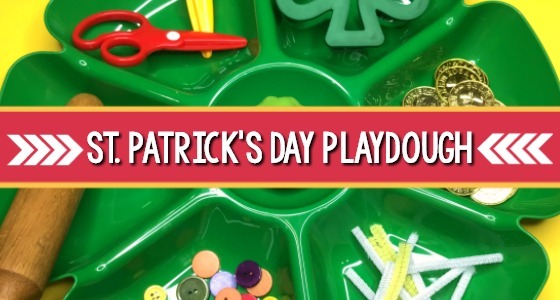 You can easily incorporate all of these skills and more into your lesson plans with a St. Patrick’s Day theme in your preschool or pre-k classroom. 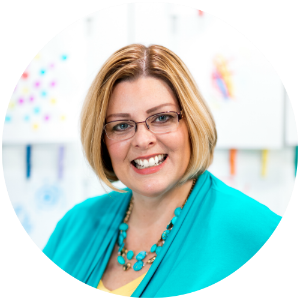 When your students engage in fun, hands-on literacy activities focused on a common theme, they’ll begin to develop important oral language, literacy, and vocabulary skills. 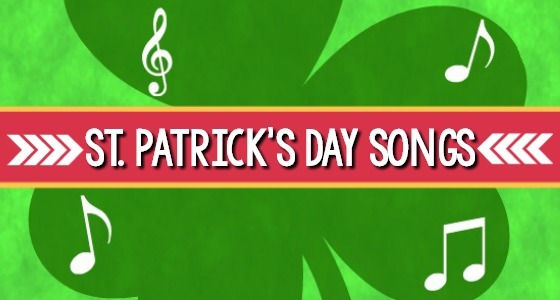 A themed unit study around a popular holiday like St. Patrick’s Day can be lots of fun for your little learners! 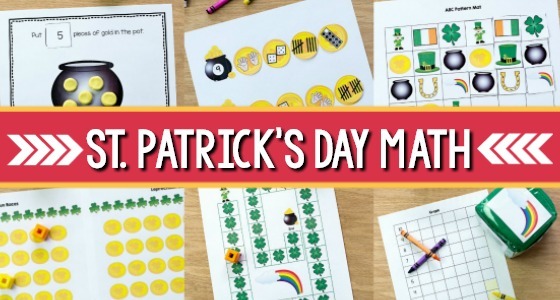 Your kids are going to love these fun, hands-on St. Patrick’s Day literacy center activities and games that will help them build vocabulary and develop critical emergent literacy skills like rhyming, syllables, beginning sounds and more. 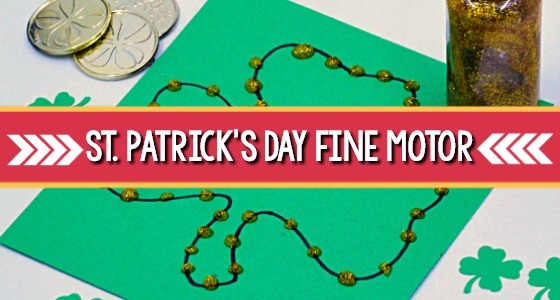 Celebrate St. Patrick’s Day with this fun syllable activity! Invite students to identify the number of syllables in each picture. 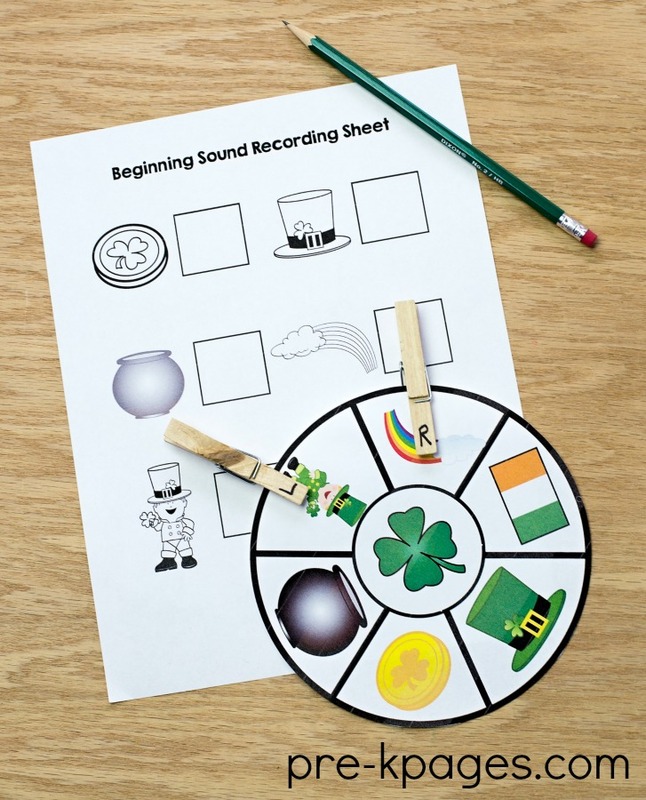 This activity includes a black and white recording sheet and is available in the St. Patrick’s Day Literacy Packet. Students will identify the beginning sound of each picture and attach a clothespin with the correct letter to the corresponding picture. 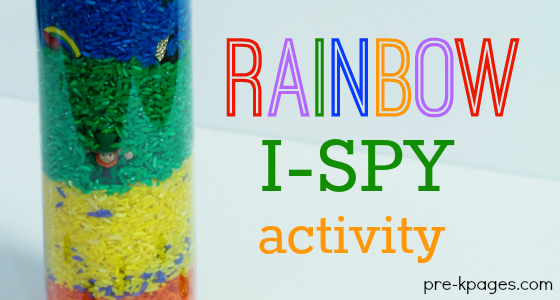 There is also a black and white recording sheet included with this activity. 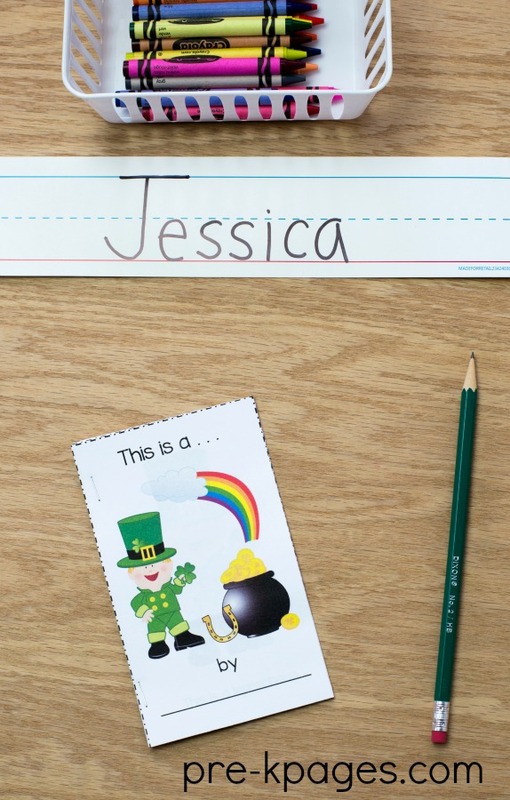 The beginning sounds activity is available in the St. Patrick’s Day Literacy Packet. Students finding the rhyming pairs using pot of gold mats and coins. 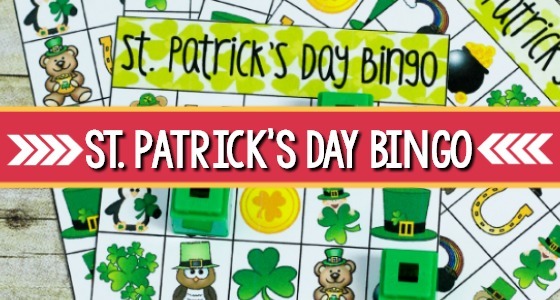 This activity is available in the St. Patrick’s Day Literacy Packet. Place the printable word cards in a pocket chart or on a word wall. 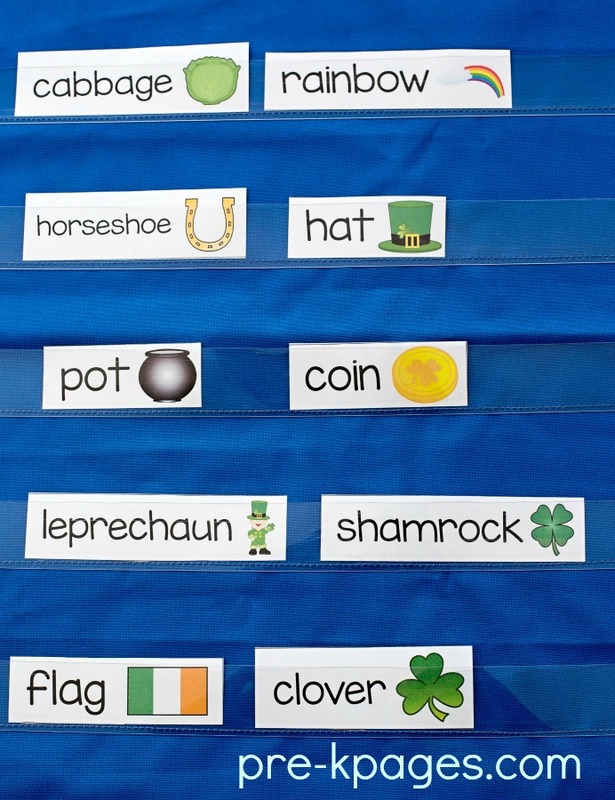 These cards can be used to help develop vocabulary and can be found in the St. Patrick’s Day Literacy Packet. 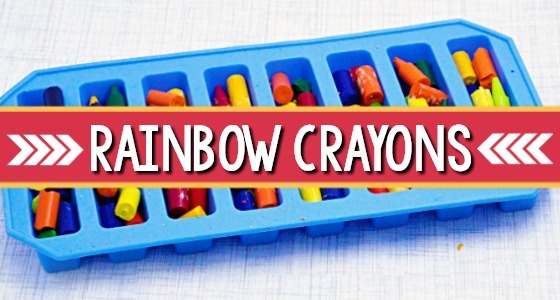 This activity includes both upper and lower case versions in black and white or color. 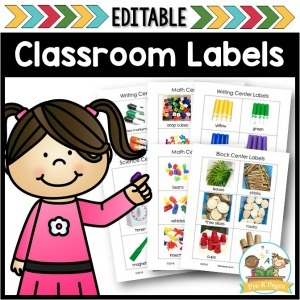 Students will take turns drawing a card, identifying the letter, and marking it on their recording sheet. 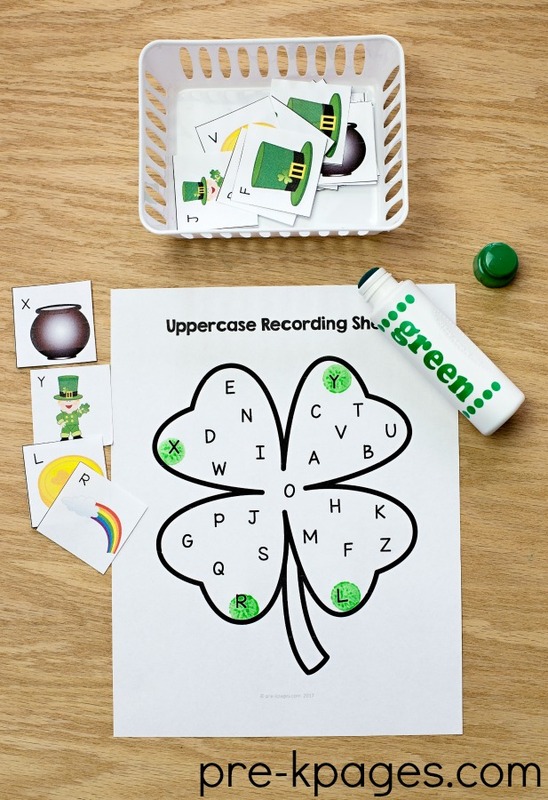 This activity also includes two recording sheets, one for uppercase letters and one for lowercase letters and is available in the St. Patrick’s Day Literacy Packet. The predictable text in this book is designed to support your emergent readers. Use this book to reinforce concepts of print such as words are separated by spaces, left to right and top to bottom, written words match spoken words, common sight words, and more. 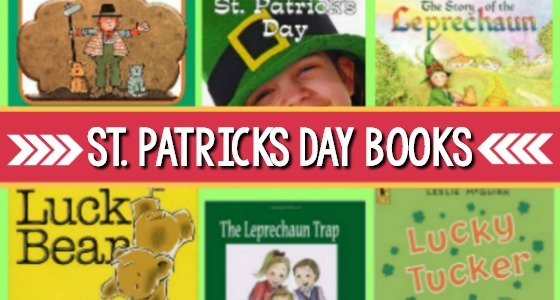 This easy to assemble emergent reader is offered in both black and white and color in the St. Patrick’s Day Literacy Packet. 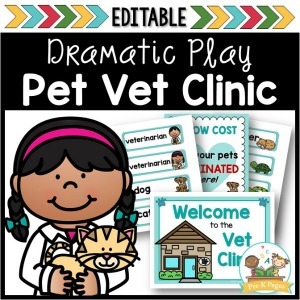 The predictable text in this pocket chart set will help your students learn concepts of print such as left to right directionality, return sweep, one-to-one correspondence, and more. 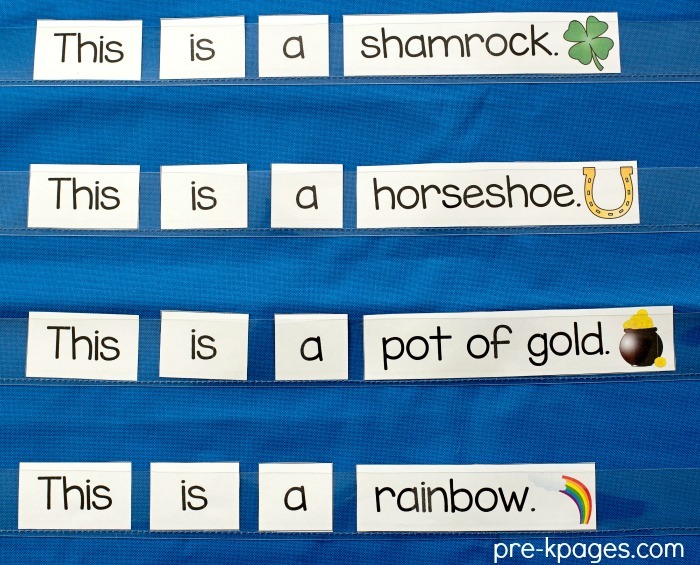 The printable pocket chart sentences are available in the St. Patrick’s Day Literacy Packet. 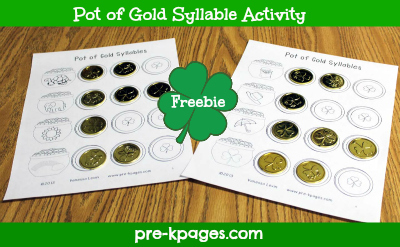 The freebie pictured above is for practicing syllables- keep reading to get your copy. 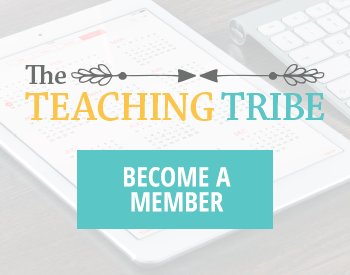 This activity supports the development of phonological awareness skills and Common Core standard ELA-Literacy.RF.K.2b: Count… syllables in spoken words. I found the plastic gold coins at my local party supply store. 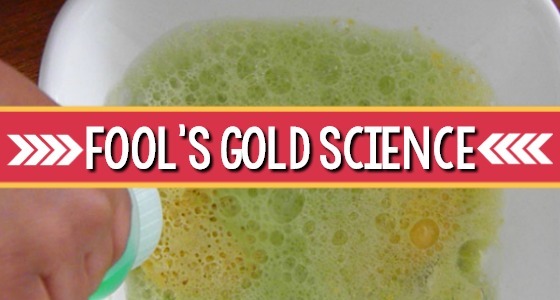 Each sheet features four pots of gold, each one with a different picture. 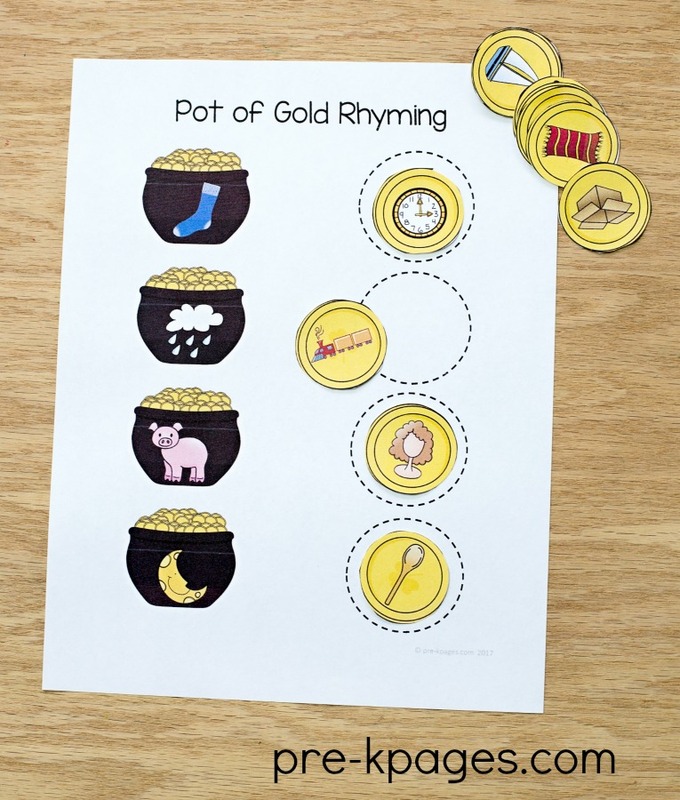 Students will identify the picture and the number of syllables in each word and then place the corresponding number of coins next to the pot. 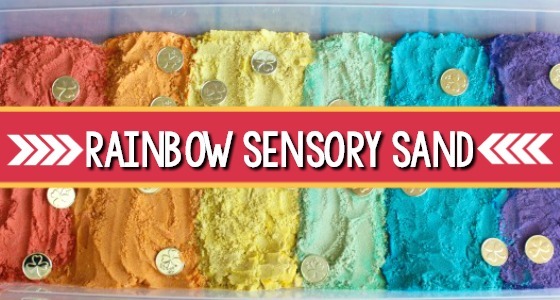 For example, the picture of the rainbow has two coins. What kid doesn’t love playing with money? You could also use yellow bingo daubers if you can’t find any coins. 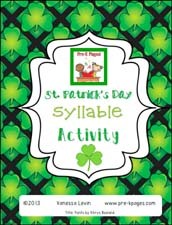 You can download the free St. Patrick’s Day Syllable activity by clicking on the picture below. 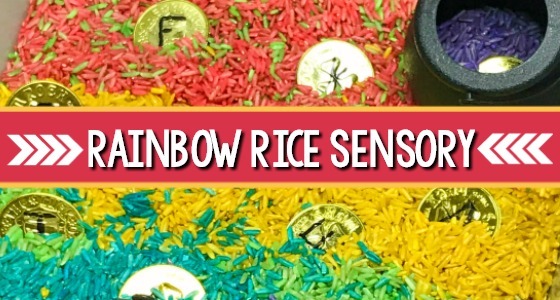 Previous Post: What is a Sensory Bin? Thanks, Vanessa! We can use the syllable one especially in my class this trimester! I love it! Thanks Heidi, I’m so glad you can use this one 🙂 Thanks for stopping by and Happy (early) St. Patrick’s Day! Love your creativity and educationally sound ideas, Vanessa. 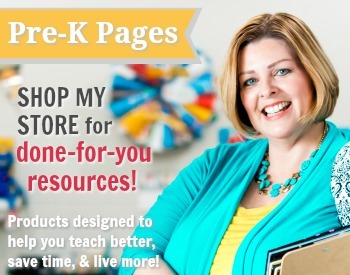 Your hands on literacy activities are developmentally appropriate and motivating. I wonder if, on the beginning sounds paint sticks, there is room to put both the upper and lower case letter at the top (i.e. M m) since we encounter more lower case letters in our reading and writing. Thanks for sharing all your great ideas!